Many of you might have noticed that the blog is now up with a new design. For quite a while the blog didn´t feel like the page I wanted to look at or write on so I decided to take a break. Sometimes you have to take a step back to see the bigger picture of what you want to capture. After some hassle I have done the little refurb myself and as I´m not good at any html / designing stuff it took a while to complete. I´m still not quite done, so please bear with me if fonts don´t look the same or pictures still need some editing. For the future, as far as blogging is concerned, I would like to focus more on my travels and the sections I have now created on the right. 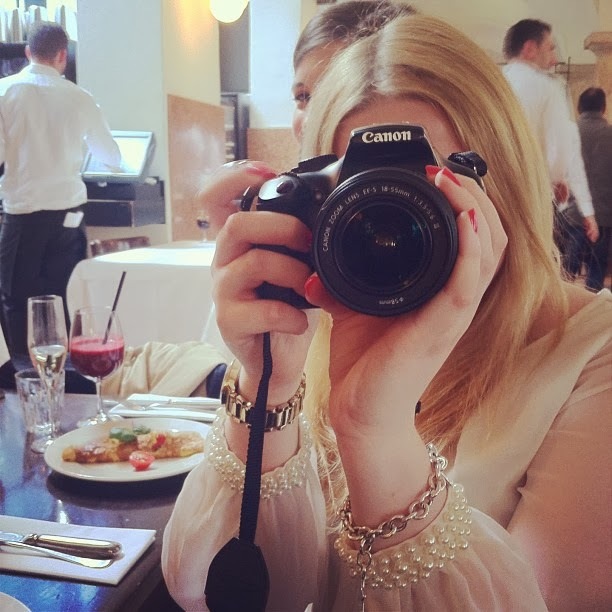 With calling my blog BlondeHappiness I thought it should focus more on just one aspect of my happy life. Especially with the big move to Manchester coming up in September the will be a lot more Manc- Stuff coming up and topics on my PG- student-life. I found blogging to be a great way to meet new people and get involved in a city´s social buzz, so I´m definitely going to continue working on that. The past two years of "part time" blogging were a great way to find out what I really want to write about, gradually I moved away from the idea of Blonde Happiness being a pure fashion blog. I cherish my private life too much to put myself out there every single day with outfits post but however fashion (and bargain hunting) will remain a huge part of my life and this blog. Living in Manchester, with so many emerging brands and a great industry tradition I´m beyond excited to review more of them or attend events and shows. Travel- wise I will concentrate on hotel and restaurant reviews, holiday planning advice and exploring activities around town for that little holiday feeling on a weekday, like wellness, SPA and beauty offers! Let´s see where the journey takes me next and I hope you all enjoy reading! The following pictures were taking on a Sunday trip to Hollingworth Lake, a 20 min drive from Manchester to enjoy some rare British sun. Along the lakeside road you will find lots of small cafés and restaurants to take a rest after your walk around the lake ( approx. 1h ). After reading some recommendations we tried Mr. Thomas´s Fish & Chips, which you will easily recognize from the huge queue reaching out the shop, and it was a truly delicious Sunday treat. Make sure to come early enough on a sunny day to avoid waiting for a parking space and also to enjoy a bit of quiet time before the place is invaded by too many sun-seekers.